Aníbal Ollero received his Engineer degree and the Doctor Engineer degree with award from the University of Seville. He worked in an engineering office and was assistant professor at the University of Seville until 1980. Later he was full professor at the Spanish Universities of Santiago de Compostela in Vigo, Málaga and Sevilla. In Vigo he was Associate Professor and Full Professor. He also was Director of Department, Secretary and Research Vice-Director of the Engineering School. In Málaga he was Full Professor, Director of the Engineering School and Head of three Departments. He has been also “stagiere” at the Laboratoire d’analyse et d’architecture des systèmes (LAAS-CNRS), Toulouse, France (1979), and visiting scientist (1990-1991) at the Robotics Institute, Carnegie Mellon University, Pittsburgh, USA. Since December 1992 he is Full Professor at the University of Seville where he has been Vice-Director of the Engineering School. He is currently leading GRVC with more than 75 members at the School of Engineering and the Association of Research and Industrial Cooperation of Andalucía (AICIA). He is currently Scientific Advisor of the Center for Advanced Aerospace Technologies (CATEC) with more than 70 members and has been Scientific Director of this Center. He researched in autonomous aerial systems, robotics and automation, presenting the results in more than 700 publications including papers in journals (more than 180), book chapters (49), and Conference Proceedings. He is author or co-author of 10 books including a book on computer control “Premio Mundo Electrónico” (Spanish Award), a book on robotics, the book “Intelligent Mobile Robot Navigation” (Springer, 2005), a book on “Teleoperation and Telerobotics” (Pearson- Prentice Hall, 2006) and a book on autonomous and distributed systems for applications on vehicles and natural environments (2008). Furthermore, he is editor or co-editor of 15 books including Multiple Heterogeneous Unmanned Aerial Vehicles (Springer, 2007, translated to Chinese in 2012), with 9 Chapters being co-author of 6, and “Cooperating Objects and Wireless Sensor Networks” (Hermes, 2007) with 6 Chapters being co-author of 3 Chapters. In 2019 will be published by Springer STAR the book Aerial Robotic Manipulation with 27 Chapters, which will be the first book on Research and Innovation in this growing area. He has led or participated in more than 155 research and development projects, including 27 projects funded by the European Commission and other projects funded by NASA, the Spanish National Research Program, the Regional Research Program, and many institutions and companies. 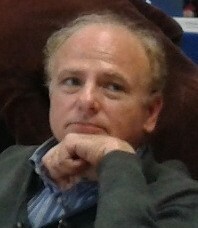 He has been coordinator of the successful European projects “Real-time coordination and control of multiple heterogeneous unmanned aerial vehicles” (COMETS) in the 5th Framework Programme, with 7 partners from 5 countries, and “Platform for Autonomous self-deploying and operation of Wireless sensor-actuator networks cooperating with AeRial objEcts” (AWARE), in the 6th Framework Programme, with 8 partners of 5 European countries. Both projects were evaluated as excellent achieving all the objectives and receiving several awards. He has been associated coordinator of the Network of Excellence on Cooperating Objects (CONET) and of the Integrated Project FP7 project “PLAtform for the deployment and operation of heterogeneous NETworked cooperating objects” (PLANET). He has been recently the coordinator of the Integrated Projects of the 7th Framework Programme (FP7) of the European Commission: Aerial Robotics Cooperative Assembly System (ARCAS) on aerial robotic manipulators for assembly applications, with 8 partners from 5 countries, that was evaluated as excellent and “Estimation and Control for Safe Wireless High Mobility Cooperative Industrial Systems” (EC-SAFEMOBIL) on methods and technologies to increase the safety in the operation of autonomous aerial systems, with 9 partners from 5 countries. Both projects have finalized with very good results with world-wide first technology demonstrations. He also led the People (Marie Curie) Multi-UAV Cooperation for long endurance applications (MUAC-IREN). Moreover he was the co-leader of EUROC Challenge 3 ARCOW on the application of aerial robotics for aircraft manufacturing that was been selected between the two finalists of Challenge 3, between 34 participants in this Challenge. He also led the AL-ROBOTICS team participating in the MBZIRC competition. In 2018 he received an ERC Advanced Grant from the European Research council with a budget of 2,5 millions of euros to start a project called GRIFFIN (General compliant aerial Robotic manipulation system Integrating Fixed and Flapping wings to INcrease range and safety). He has been the principal investigator of more than 60 Spanish projects and is currently the principal investigator of ARM-EXTEND on the application of hybrid aerial-ground robots for inspection and maintenance. Methods and technologies for systems of multiple autonomous aerial vehicles including safety increasing and tracking of multiple mobile targets (EC-SAFEMOBIL), cooperation for long endurance missions (CLEAR), cooperation for marine and coastal applications (MARINE-UAS), cooperation of heterogeneous UAVs (COMETS) for detection and monitoring in forest fires applications. Systems for autonomous aerial vehicles including slung load transportation with one and several helicopters connected to the load (first worldwide demonstration in the AWARE project), new techniques for control and perception in aerial robotics, fault detection and reconfiguration, configuration changes, fault detection and reconfiguration, trajectory generation under uncertainty, safety and reliability (ROBAIR), interaction with the environment, and development of new vehicles with rotary wing and fixed wing. Cooperation of aerial and ground autonomous systems and robots (CROMAT). Guidance of autonomous vehicles including heavy vehicles at high speed such 16 Tons. trucks at 100 Km/h and 60 Tons dumpers at 40 Km/h, maneuvering of articulated vehicles. Network robot systems and applications in urban environments (URUS). Systems for autonomous forest fires detection and monitoring including infrared and visual cameras in ground and aerial systems and wireless sensor networks. .
Systems for space applications including planning techniques for orbital systems (MINIMAN), teleoperation (Tribolab experiment) and exploration rovers. Systems for acuiculture applications including biomass estimation in marine cages by means of computer visión. Furthermore, he has been the principal investigator in more than 50 contracts with industries, including recently AIRBUS GROUP, EADS, BOEING RESEARCH AND TECHNOLOGY EUROPE, NAVANTIA, INDRA, ITURRI and many others, transferring technologies to many companies and generating industrial products including automatic testing systems of the airplanes CN235, C295 and A400M (EADS-CASA, from 2000), flight management systems, navigation, guidance and control for unmanned aerial systems for several companies, automatic tracking and stabilisation systems using infrared and visual cameras, (Navantia 2002-2008), automatic control of fish farms (Acuinova, 1999-2001), robotic forestry machines (Servicios Forestales, 1999-2000), automatic forest fire detection systems with false alarm reduction (E.N. Bazán 1998-2000), automatic control of wind-turbine generators (Desarrollos Eólicos, 1998), and others. He has been supervisor of 40 PhD Thesis that have received 9 awards. Professor Ollero is IEEE Fellow “for contributions to the development and deployment of aerial robots”, co-chair of the IEEE Technical Committee on Aerial Robotics and Unmanned Aerial Systems, that was awarded as the RAS most active TC, Member of the Board of Directors of euRobotics, Coordinator of the Aerial Robotics Topic Group of euRobotics and president until November 2017 of the Spanish Society for Research and Development in Robotics (SEIDROB). He has been Member of the Scientific Council of CNRS (France), member of the European Robotics Network Board (2008-2010), Vice-Chair (2005-2008) of the Technical Board of the International Federation of Automatic Control (IFAC), Chair of the Coordinating Committee of “Mechatronics, Robotics and Components” (2002-2005), Chair of the Coordinating Committee on “Manufacturing and Instrumentation” (1999-2002), Chair of the Technical Committee on “Components and Instruments” (1993-1999), and Chair of the Working Group on “Intelligent Components and Instruments” (1991-1993). He is currently the President of the Spanish Society for Research and Development in Robotics (SEIDROB). He has delivered by invitation more than 140 plenary lectures and invited talks in conferences, courses and other events.